Details about the gardens are listed below which we hope will whet your appetite. Most of the gardens we will be visiting will have a selection of plants on sale at attractive prices. To simplify things for this year we will be charging a fixed £7.00 per seat, per trip on the community bus. Any entrance fees to gardens will be on top of this. We hope this makes for an easier arrangement. We regret that the fixed charge is different to that previously advised but we understand that Somerset Council have now removed their subsidies on the community bus. If you would like to book a seat for any of the trips please speak or email Jenny Boyce in the first instance. 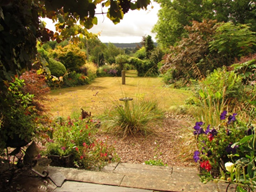 A 2 acre garden set in a lovely position with views down the valley to the Little Dart River. 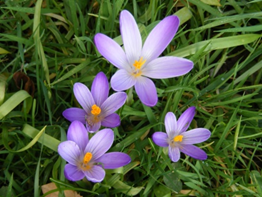 Thousands of crocuses have spread over many years throughout the garden and into the neighbouring churchyard. The mill and leat have been traced back to Saxon times. In more modern times the mill was used to generate electricity in the mid-1930’s until 1950 when electricity came to the valley. 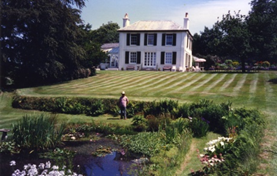 The gardens were extended by the present owners and include woodland gardens, herbaceous borders, stream gardens and greenhouse area. There’s an award-winning team room which surrounds the garden terrace and house. 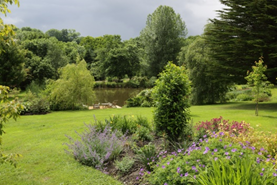 The garden is set in three acres in a valley setting with a pond, lake, mature trees and large raised border There’s also a large walled kitchen garden with yew and box hedging, a rose garden, lawns, rose and clematis trellises and an additional cottage garden. An interesting and wide ranging planting of trees, shrubs, climbers and perennials in a relaxed but still controlled 13 year-old garden. There’s a 70m long summer herbaceous border, colour-theme beds, grass walkways with surprises around each corner. Always something to enjoy with the added bonus of a very well stocked and reasonably priced nursery. Self-service team room in the ‘Bothy’ with delicious home-made cakes available to tempt you. J W Blooms was sent up in 2008 to offer an alternative to imported out-of-season flowers for wedding bouquets, buttonholes and cut-flower bouquets. 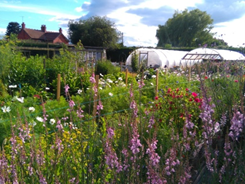 The traditional British flowers, including cottage garden favourites and wild flowers, are grown in a secluded field on the edge of the village. Flowers and plants are available to buy and also light refreshments. 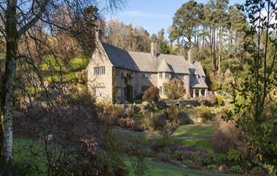 An evocative 1920’s Arts and Crafts-style house set within an RHS-accredited garden where paths weave through glades and past tranquil ponds and rare tender plants from New Zealand and South Africa. Many exotic plants thrive beneath the tree canopy in the warmer coastal temperatures. There are terraces and flower borders filled with a variety of flowers and are a great nectar source for insects such as butterflies, moths and of course, bees. A delightful 8 acre, south-facing country garden set around an old farmhouse. 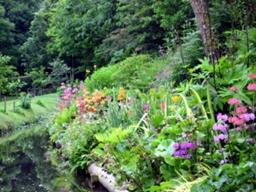 There are ponds, a bog garden, shrubaceous borders, prairie planting and a maturing arboretum. There’s a serpentine hornbeam walk, vegetable garden and orchard with local apple varieties. There are walks through ancient wet woodland and a recent plantation of 11,000 native trees to various viewpoints. There’s variety and interest all year round. 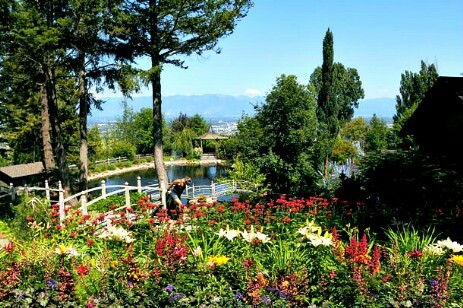 A country garden of 1.5 acres packed with different and unusual herbaceous perennials, trees, shrubs and bamboos. 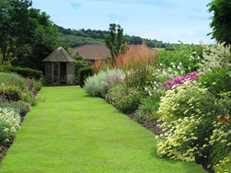 Designed for year-round interest, wildlife and the owners’ pleasure, there are naturalistic plantings in colour, co-ordinated mixed borders, highlighted by sculptures which provide a backdrop to the extensive views. A natural stream, pond and damp woodland area, mini wildlife area and raised gravel/alpine garden complete the setting.